How you’re planning to go about your construction needs depends on a lot on how well you’ve planned the details – and Building Information Modeling helps you to do just that. Building Information Modeling (BIM) is being widely adopted in place of 3D CAD modeling for its increased benefits and functions. The BIM solution is perfect for creating a comprehensive simulation of a construction keeping in consideration the various performance variables. Stakeholders of the construction and engineering industry like architects, structural designers, engineers, contractors are using BIM to collaborate and build a comprehensive model of their project building. The ROI from BIM is also huge, ranging from 25% to 300% of the investment. With so much going on, BIM is also being shaped and transformed by various trends and technologies. Here we will outline the top most trends which have the potential to transform and expand the horizon of BIM consulting. So, what are the top BIM trends today that you need to know about? Here is a look at a few of them. The use of smartphones and popularity of concepts like BYOD to work has infiltrated the area of BIM too. Architects, construction professionals and engineers working on a specific BIM model may need to access it from various locations. Some BIM platforms have already come up with mobile solutions which make it possible to record and make adjustments to the BIM model from remote locations. The integration of cloud features further leverage the collaboration aspect and increase productivity. 3D printing is transforming from being a concept of science fiction to concrete reality. 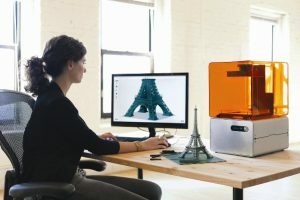 Today 3D printing is being used by many people as the printers and accessories have become a bit affordable. 3D printing can be used in BIM to give a physical representation of the digital design which makes the model more comprehensive. The use of 3D printing is expected grow by 7% year to year creating an unparallel advantage for firms involved in BIM. The need of going green and being eco-friendly is the need of the hour in the face of climate changes like global warming. Architects are aware of the importance of green construction and its growing thanks to the various mandates by governments for being energy efficient. BIM can be used to take such energy and sustainability factors into consideration and streamline the design and execution of construction. Architects and engineers can use BIM for energy performance modeling using tools to increase its sustainability. An important trend in construction called prefabrication is going to align perfectly with BIM in the coming days. 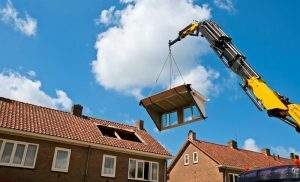 Modular and prefabricated modules are being adopted in the market for reducing costs and improve the speed of construction. BIM solutions can help in the effective and successful use of prefabrication through its system by eliminating waste from the process. This principle of lean management can be facilitated by BIM system through its precise modeling function eliminating the need of physical verifications.